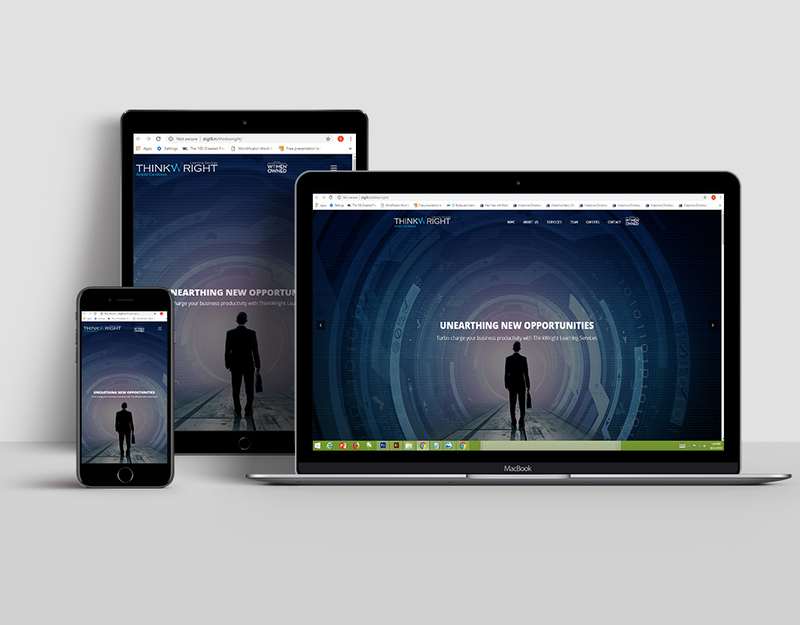 An established learning, training and leadership development firm, ThinkWright, primarily focused on application software development, product development, web development and remote DBA support services, wanted to set up a new website to reflect their new brand philosophy. It needed to be built from the ground up, all the way from logo design to web design. They needed to create a name for themselves in an increasingly competitive marketplace. After providing logo options, we discussed various ways by which the company can grow. We designed and created a website for ThinkWright, and followed up setting up social media handles, so that this new company’s name could gain some traction on various platforms. We also helped develop the brand’s entire end-to-end corporate identity. We were successfully able to help this company build from the ground up, and create a name for itself in a competitive field. The objective of our campaign was to ensure that ThinkWright had a good foundation to build upon, as well as improve their reach to the general public.